Bubolz now offers advanced STEM programs that align with Wisconsin energy education standards. The energy programs not only meet science standards, but also correlate with other subject areas, such as: Tech Ed, Math, Art, Social Studies, English, Computer Science/Information Technology and Career Development. The new clean-energy microgrid at Bubolz by Faith Technologies features innovative technology that offers a learning opportunity that students cannot access anywhere else in the Midwest. In fact, several energy-related associations from throughout the midwest have booked tours and conferences at Bubolz in 2018-19 just to learn about the microgrid. Energy programs are available for all grade levels, but the focus groups are 5-8th grades and 9-12th grades. 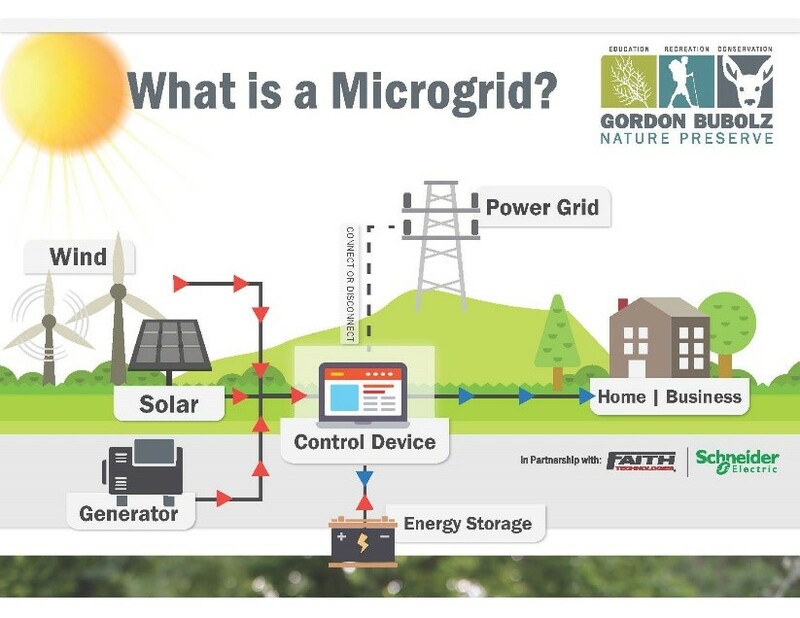 To develop the new curriculum, the Bubolz staff worked closely with the microgrid developer Faith Technologies and Wisconsin KEEP (K-12 Energy Education Program), a statewide energy curriculum organization headquartered at UW-Stevens Point. In addition, teachers from throughout the Fox Valley have been providing input and suggestions for the type of learning experience that would be the most impactful. The students will learn about the traditional way of producing energy, the emerging methods and sources of renewable energy, as well as the innovative microgrid system that can produce, store and manage clean energy for better efficiency and reliability. The new programs will include hands-on activities that allow interactive, engaging, discovery-based learning that inspires educators and ignites student curiosity. Students will experiment with renewable energy kits that simulate a mini-microgrid, made possible by a generous grant from the Community Foundation for the Fox Valley Region. This will then be reinforced with Pre and Post-Field Trip activities via an online live data screen that displays the microgrid activity at Bubolz. For a listing of scheduled programs or to book a field trip for your class, please contact Courtney Osenroth @ cosenroth@bubolzpresesrve.org.